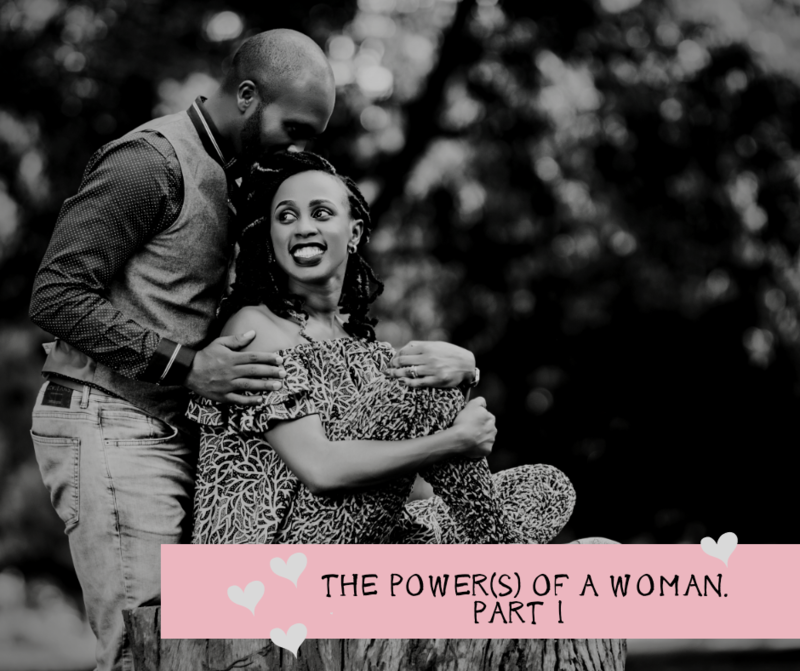 THE POWER(S) OF A WOMAN – PART 1. We are THE FAVOR FACTOR! The Lord knows that and so does the accuser of all brethren – the devil. He knows how immensely God has gifted us but he too, has mastered the art of making us doubt our calling. We walk as beggars, strained, trudging along others, shoulders bent with the weight of the world on us, and yet, God bestows immense favor on the men that are joined to us – because they found us! We have been called to build our marriages and husbands, and we can be highly effective if only we realized that we have the power to make it so. We are not gold-diggers, we are not drama queens, we are not for booty calls or titillation! Any man out there who seeks you out and finds you, obtains favor. It’s all for the glory of the Lord! You are the favor factor in his life! Independence is simply that, Independence. It’s not a ticket to being rude, but it’s a strength of which many of us do not know. But most often than not, we spend so much time having our worth pegged on the type of men around us, what we get from them, what they buys us, where they take us. Things and material gain(s) define us- and we forget that we are the favor factor in their lives! You are the favor factor to your husband! We really don’t realize the power we have as women! The Bible says that whoever finds a wife, finds a good thing! WE ARE THE FAVOR FACTOR ladies! Again and again! We are the Mega Jackpot! The deal breakers! We are powerful. We have so much power, yet we don’t use it! Instead we want control, are addicted to control, to a point that control ends up controlling us. The moment you will realize that, you will not nag, you will not stoop, you will not be discouraged, instead, you will put on your costume, you will buckle up, take up your tools, and position yourself right in your marriage. Don’t you know that a king isn’t a king without his crown? A virtuous and excellent wife [worthy of honor] is the crown of her husband, But she who shames him [with her foolishness] is like rottenness in his bones. 1. THE POWER OF ENCOURAGEMENT AND COMFORT. The wise woman builds her house [on a foundation of godly precepts, and her household thrives], But the foolish one [who lacks spiritual insight] tears it down with her own hands [by ignoring godly principles]. The words here to underline are – a wise woman builds, a foolish one destroys. By IGNORING and NAGGING! He is not good with shopping. He’s not good in welcoming the visitors. He’s not good with finances. He is not good in arranging stuff around the house. He’s not good enough. Truthfully speaking, no one will ever be good enough, but everyone has something to be celebrated about. He might not really be good at arranging stuff, but he is probably the greatest dad. He might not be so good in planning, but his execution is flawless! We all know what’s needed for marriage to thrive. Of course some get in blindly, but we are always advised, yet we ignore. A wise woman knows that her words build, not only spiritually, but they are highly effective in bringing out THE MAN FROM WITHIN! The husband considers her as an asset and lacks no good thing! Trust me, it’s hard to tempt a man whose wife has mastered the art of encouragement! Yes it’s true! He knows that he has an asset not a liability! Men gravitate towards what is rewarded. From my own experience, I can tell you that this is nothing but the truth. You might tell me it’s simply encouraging him to be dependent on you entirely without his own intrinsic drive – and that’s not good! Then I will ask you this, if that makes him a better person, is it a hard thing to do? If no bone is broken, if it simply improves instead of draining, then what is hard about it? Let’s get our spines back. Put on your tutu skirt gal! Shake it all for your man! I sure do know that because it transformed my marriage! I quit being a nag, and changed my job description to a dancer, his greatest cheerleader and fan! You got the power of encouragement and of comfort! His business deal has gone south, encourage him. He is trying to lose weight, yet he still slips back to his ribs and junk, encourage him. He has been laid off, encourage him. By encouraging, I mean cheering him on. Reminding him of the giants he slew, reminding him that he is great man of valor and you know that it’s just a temporal set back. By reminding Him of God’s promises to him. Manoah panicked and overreacted after realizing that all that time, he was conversing with the angel of the Lord. He had no idea it was an angel – instead said that he was God. But the Bible calls Manoah’s wife sensible. She was there with him and was immediately attuned to her husband’s fears. He feared that he would die. She didn’t blast him, calling him unreasonable, telling him how stupid could he be that he couldn’t differentiate between an angel and God. She encouraged him with her kind words. She was his comfort when he felt distressed. Our mouths, our words have so much power. The power of encouragement from a wife to a husband is enough to break his tough ego into smithereens. He will be vulnerable to her, open and stripped. Do you desire that in your marriage? Be your husband’s greatest fan. He doesn’t need another woman encouraging him. Let him rest his head on your lap and remind him that he is great! Do not give the devil that chance of finding comfort at another woman’s bosom! Don’t drive him up the corner of a rooftop simply because you are like a leaking faucet. You are the favor factor! Live up to it! Unleash your POWER OF ENCOURAGEMENT! 2. THE POWER OF SUBMISSION. Women don’t like this topic. Yet you cannot do marriage devoid of submission. We have been conditioned by the world to think submission is a disease, a malady, a weakness, a fault, a flaw, a plague that engulfs women’s minds and makes them move around like zombies! We think submission means “loosing” ones-self. Sadly, marriage has been diluted, perverted and corrupted. There is such a deep chasm between what the Lord says and what the world says! This is urgent ladies! Submitting in our marriages is urgent. The power of submission does change. Feminist argue against marriage – that it makes a woman less of who she is. Ofcouse, being in a patriarchal society, men have also been conditioned to think and act in a certain way towards women! It’s a sad state of affairs! But our Lord doesn’t live by the set man made laws. His law is immutable, while the rest are just but shifting sands! So when the Lord says every good and perfect gift comes from Him, it’s absolute! Marriage included. It’s good! When the rhythm is mastered, marriage is the most fulfilling relationship. That doesn’t negate any season that we find ourselves in. Singleness, has its gains and convenience too. Therefore , when the Lord says to us – the women, “submit in your marriage”, it’s not a dent! It’s not a fault. It’s not a typo error. It’s good, God’s good, for His good and most certainly, for our good too! He was not wrong, or had a chronic amnesia! He knew what the power of submission could do. Our perfect example is Christ. He submitted Himself to the will of His father. Came down and died on the cross for our sins. He prayed for His fathers will to be done. This was the highest form of submission. It’s powerful! Submission is simply inclining yourself to your husband’s will. It’s yielding control to him – since you have it – but you give it to him instead. It’s having a willful disposition to your husband’s leadership. Trust me, it’s not easy. More so when you are “independent” or know that a certain recourse he is taking is wrong. It’s easy to bash him, and further “justify yourself” if his way fails. But what does submission do? Well to begin with, submission doesn’t make you lose your uniqueness. And by knowledge its rooms are filled With all precious and pleasant riches. Understanding is a foundation that should, and continues to anchor a marriage. Your husband knows that you have dreams, aspirations and goals. With understanding, both of you can sit down and make your own road map. I have seen women support their husbands and finally, they still got to do their PHDS’. I have seen husbands support their wives and at the same time took care of the children. It depends with what both of you have in mind as a vision for your family. But, behind the scene of every marriage, is a woman who yielded enough to cause her husband’s heart to turn towards her too. Behind the faithful, loyal, straight, strong willed, powerful man, is a submitted woman. The power of submission is a catalyst for change to any masculine being! If you are not ready to submit, please don’t get married. It’s that plain. It won’t work. Submission is not a blind following, actually submission, is following with your eyes wide open! Fully aware of the surrounding! You are sober, alert and discreet! The expression of “submission” at the highest level is having the inclination and disposition to willingly support your husband not through coercion, but through love. A wife’s submission is characterized by prayerfully encouraging her husband to move in the God given direction over their family. Remember, you are doing this wisely. Wisely in sense that you are not to mechanically obey, but at the same time not demand of him to change his course. Look at Nabal’s wife, Abigail! The Bible says in 1st Samuel 25 that Abigail was wise and beautiful! Wait a minute ladies! Abigail was beautiful but a submissive wife too! So beauty is never a caveat for hard-headedness in marriage! If you think you have a fool of a husband, I think Abigail’s husband was worse. His name didn’t make things easier. Nabal was his name. He was a drunk self aggrandizing man! Yet Abigail subverted a calamity that would have befell her household. David, the King of Israel then, was ready to obliterate them all. She packed up enough gifts to appease him and ran over to David, fell at his feet and pleaded on behalf of her foolish husband. David’s heart changed! How amazing! God honored her and killed Nabal! That was the power of submission at work. Was her marriage easy? No! Am sure she had suitable suitors who were willing to treat her right. Am sure she was highly encouraged to leave Nabal by her fellow women, but she choose to honor her vows, and God honored her. Am talking to you, who is really hard-headed and want your way in your marriage. You who constantly reminds your husband of his failures. You who nags and tries to fix your way. You who doesn’t forgive and prolongs an argument for weeks and months. You who doesn’t know that you are wasting your power of submission on non issues! A woman who understands her power of submission, gives her husband respect, challenges his masculinity into godliness and admires him. A woman who understands her power of submission, carefully corrects her husband and shows her vulnerability to him so as to affirm his confidence in whatever he undertakes to do. The power of submission cannot be overstated nor overrated. It’s a power that can change the heart of any husband. The bible says that ungodly husbands are won over by a woman’s godly behavior – it is the power of submission at work! The power of submission does not merely fit a woman into a role in marriage, but is a unique gift and power presented to you and me, by God, to give to our spouses what they most long for from us. The power of submission changes the heart! Unleash your POWER OF SUBMISSION! I find your argument so presumptive. In fact very presumptive mwatu. To begin with, this was not or is not a narrative. It’s an encouragement to all women out there to know that indeed they are the favour factor! It makes me sad that you do not see that side, instead you assume that if you don’t do this, he will do that – cheat! That clearly tells me that not all women understand the power we hold. Cheating is not contingent upon you doing your part. No. That’s why God in His amazing wisdom have each of us a DO in marriage. Does it mean that when you do all will be clear,clean, sundry, no! In fact it’s always far from perfect! But YOU DO YOUR PART! GOD doesn’t hold you accountable for your husband’s reaction and vice versa is true! So Mwatu,instead of being quick in giving a harsh criticism, saying that it feeds on weak men,see, there’s always one thing, actually many things we still learn. This strengthens a woman somewhere who believes in the sanctity of marriage! I mean if we correct men too, does it mean that it’s fueling a lady’s arrogance somewhere? No! Why not ask too, “what can I learn”. I certainly have a long way to go too in my journey and the fact that I have shared my part, doesn’t negate a true design of God. Marriage is beautiful. It’s a God given institution and given an opportunity to be loved and love, we will all take it! Presumptive or lifted from the script? I saw everything else you intended to portray but that narrative about “if you don’t do abcd then your husband will end up elsewhere” isn’t even Biblical to begin with, it is worldly and it is wrong. Nowhere does God say He does not condone adultery but if it is the wife who was nagging then it’s okay. Correct me if I’m wrong, as you have indeed pointed out opportunities for learning. It is how I ended up here in the first place, for a Godly perspective. But if you are open, you may learn too. Yes because we think God will fix our marriages without the work. Hun! It’s work.! You do your part regardless. The bible says that we shouldn’t be ignorant of the devil’s schemes. Yes! We shouldn’t be ignorant. So again! Do not be ignorant by ignoring what God gave you to work on! No marriage blossoms without being intentional, both the man and the woman! Yes, no where does God condone adultery, but do not be so blind to think that that marriages especially Godly marriages are not tested. When God says,DO NOT BE IGNORANT OF THE DEVIL’S WILES.. he knows we have a tendency of sitting pretty and “folding” our hands. Have you seen preachers fall? Yes! Why, because some neglect their wives! Have you seen big women of God lose their marriages? Yes! Because we think the pulpit will solve all our marriage issues. Far from the truth. Most struggle because they don’t want to put in the work. So yes! Every one should fold their sleeves and work! What ever tools God gives you to work your marriage, use them! This is to all women who believe that marriages do work. And trust me, sin and self is what makes marriages hard but as an institution, designed by God for His glory, it’s beautiful! Mary, your teaching is great, and I drink from your feet. Try to listen to Mwatu. She has a point. The whole teaching is great, save for that bit that she has raised. I also stumbled when I read that line, for its a narrative that gas been perpetuated too long. Keep teaching us. And be blessed. Ohhh I have not negated the truth about it. No. But, we cannot be too blind either. Men have not been given a Lee way to cheat just because things are not working – that I agree with Mwatu 100 percent. In fact, they have a bigger responsibility – God will hold them accountable for their failed part. But, let’s not be blind. 2nd Corinthians 2:11. DO NOT BE INGNORANT OF THE DEVIL’S WILES. You cannot NOT serve your husband or do your part as a wife and EXPECT that things will be rosy. He too. He cannot neglect you as a wife and think that cosmically marriage will be rosy. We each have to do our part. As a woman, know your part, do it. As man, do your part. Again, do not be ignorant of the devil’s wiles. He comes as an angel of light – 2nd Corinthians 11:14. We all have needs, innate needs, and God had a sense of humour by placing them in us to be fulfilled by our spouses. Let’s also not excuse ourselves too. Yes they are not excused and shouldn’t be for cheating – but what about us? The society has made it OK for them to cheat but we are not governed by the society… We have a better deal! The Best deal… What does Christ say about this? When you see a marriage doing 5,10,25 years, it’s not just taken prayers but INTENTIONALLY DOING ONES PART… without the excuse of “what will I gain”…marriage has no conditions. It’s plain and simple. If one is not going to put in the work, it won’t thrive. And it takes both the husband and the wife. Now each has the DO part. I don’t see how me doing my part feeds a weak man. Or me telling you, “do your part” – makes you seem subservient. What we can do best, is ask God for grace. His sufficient grace because it’s not easy loving someone who is self centered. It’s a hard gospel and I don’t expect a swallowing without masticating it enough… But think about it… Devoid of emotions…take his word as it is. TRUST. My woman, may the Lord bless you and increase you in His knowledge and wisdom. You have said well. A SUBMISSIVE woman who is full of FAVOR is a mega jackpot from the Father of Lights! God has given the husband an incomparable gift. One that can’t be exchanged for another. This the the gift of a wife. She comes fully loaded with FAVOR and strength! No wonder she comes to HELP. She’s the low loader or flat bed that carries the injured man. She’s the one who sees the good in a man even before he does and helps him spring it out. God created the woman to be a beautiful package for her husband. All that a man needs from all the women he fantasizes with is all loaded in his wife. He only needs to cleave to his wife. To leave is to depart from something. It is to move away from a premise to another. It is to pull out from something or someone’s life. It’s to DECAMP. Men we are instructed to DECAMP. To quit from the parents care and pampering and enter into the arena of dominion, responsibility and purpose. To attain our Godly roles in the family, we have to pull out from our comfort zones. Learn to be independent and make use of the HELPER that God gives us who us fully loaded with benefits and favor. Holding fast means to cleave. To have a firm grip on to something. To hold dear to what matters in your life. To safeguard the treasure with your life. This, the Word tells us, is likened to Christ’s love for the church. It’s selfless and sacrificial. Holding fast implies that there are forces pulling you away. But you have to be firm and strong. And purpose to hold fast no matter the pull from without. There’s no room for WAVERING. There’s no room for DOWNTIME! There’s no space for THIRD WHEELS ! There’s no room for CHEATING! GOD has commanded us to love. Love your wife. With all of you. Loving her means that you shall not take advantage of her KINDNESS. It means you shall not take advantage of her SUBMISSION! Love will protect and nurture. Guard and protect! Love will make a man not to cheat or abuse his wife. The woman submission must be reciprocated with Love. God commands us to love. Even when the woman does not submit.